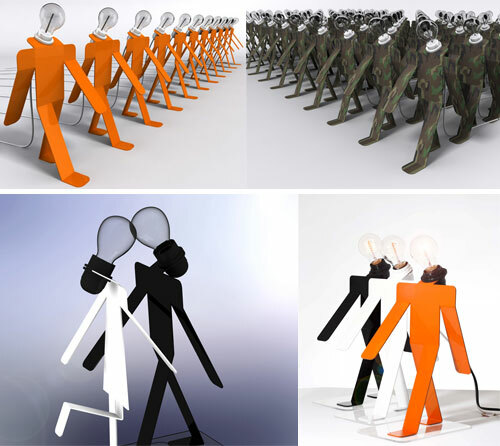 Moonwalk is the name of this fun and cool lamp made by Thomas De Lussac, a French designer of furniture, light fittings and sofas. The lamp is described as a “playful wink in the universe of the creator”. It’s made of lacquered aluminum and available in several colors and adjustable positions. 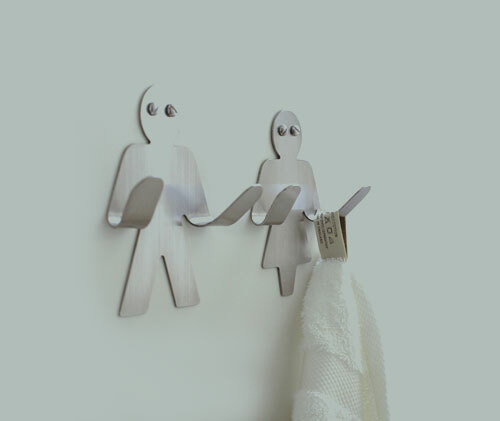 His and hers wall mounted towel holders are a novel idea, at least this way the person who left their towel on the floor can easily be identified. Manufacturer Black+Blum is an Anglo-Swiss partnership between English designer Dan Black and Swiss industrial designer Martin Blum which has a rather entertaining line of inexpensive and creative products. 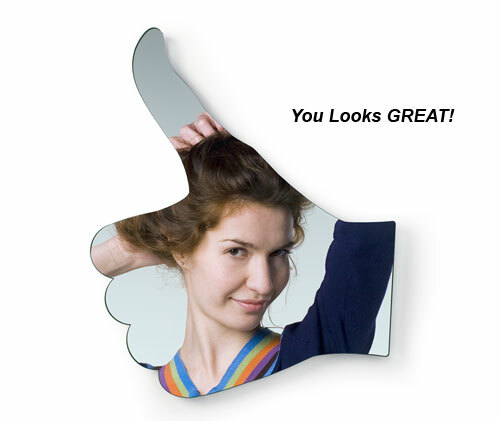 Of course the Mr. and Mrs Hangup Wall Hooks can be used for jackets, robes, or coats as well and offer a more visually appealing design that typical wall hooks. Packed as a set with adhesive tape and screws for easy mounting. Getting the kids to brush their teeth everyday can be a bit of a chore, but there is a simple and easy solution to it by Spread Heads – Toothpaste Heads/Caps. 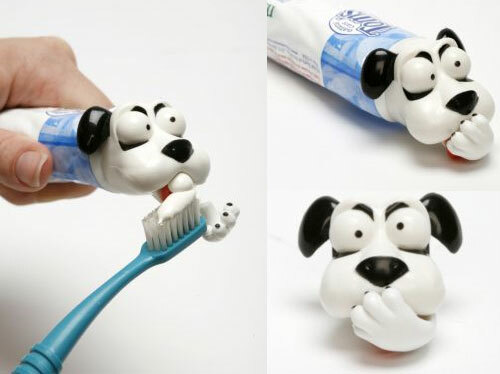 These encourage kids to brush their teeth. As the name implies, these caps can be kept on the usual sized toothpaste tubes, replacing the standard cap that it came with. There are two to choose from – Pete the dog, and Oscar the cat. These work with most of the toothpastes. Once you fix it on your toothpaste, the toothpaste flows easily through their mouths. Once you are done, there is a paw that closes their mouth so that the cap gets closed. With these, getting the kids to brush their teeth becomes a lot easier and is more fun. Nothing gets your morning going like a cup of joe and a piece of toast slathered in your favorite spread. Of course, it can also be the time of day when things are hectic to start. Kids running around, people in and out, everyone trying to remind everyone else about the super important soccer meet after school. Next time, put it on toast. This toaster by Sasha Tseng incorporates a little message board where one can read quick notes. 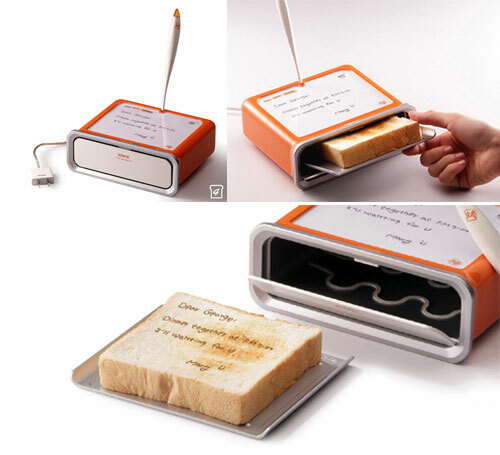 The message also gets “toasted” into the toast itself so it gives new meaning to “read while you eat”. 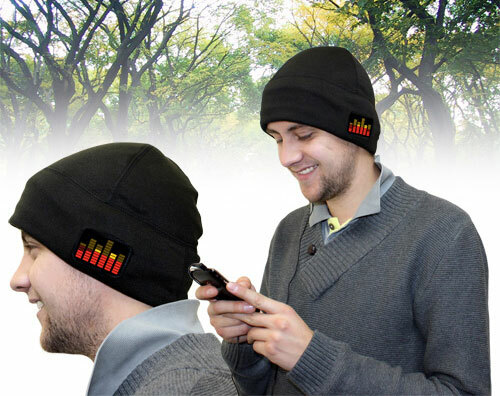 The Light & Sound Hat(GBP 20) will not only keep your ears warm, and make you cool as well. It features two light-up equalizer panels and built in speakers, it can be connected to your iPod or other compatible MP3/MP4 players, cellphones in order to let its amplified speakers get to work. Compatible with any music player with standard headphones output (3.5mm). He’s got the power! 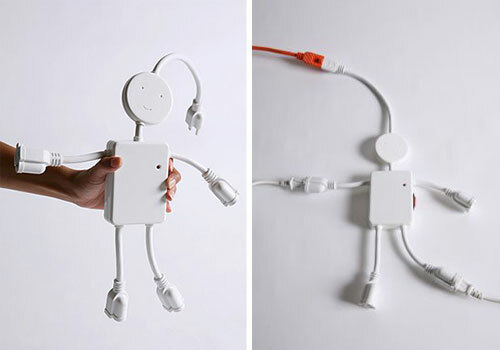 Definitely the most awesome power strip we’ve ever seen, Electric Man is happy to offer you 4 grounded outlets (and 1 rounded smile) and an on/switch. Give him a plug! Imported. The Spring Design Alex runs the Google Android OS and has a 6-inch e-Ink screen for displaying book content. The secondary screen is a 3.5-inch color touchscreen that can display multimedia content, and aid in navigating through both the reader and online content as Alex has 3G (EVDO/CDMA/GSM) integrated into the device. The reader will have full browsing capabilities due to the Android OS, supporting bookmarks, and full-featured web surfing. This includes the ability to cache web content for later reading on the e-Ink display. The user can also toggle the color screen’s content onto the big display for reading that is easy on the battery. It’s always nice to have a pretty vase with fresh flowers in it sitting in your living room. But what really impresses me, are not those typical Victorian or Ming sorts. 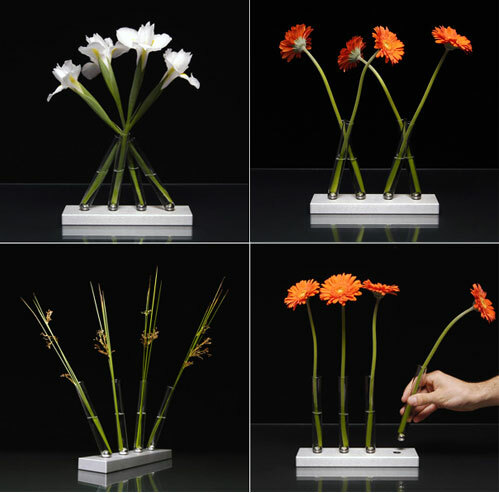 I prefer the dare-to-be different ones, like this Adaptation Vases by Brandon Perhacs. A set of four glass tubes with a magnetic base that can tilt and slant on whim! Put in long stems of gorgeous blooms and play with the setting. With kids at home you do have to keep an assortment of shapes and sizes of band aid at home. More often than not, I use it for the placebo effect; a strip plaster round the superficial cut on the finger works better than any medicine, cuddling or kisses. 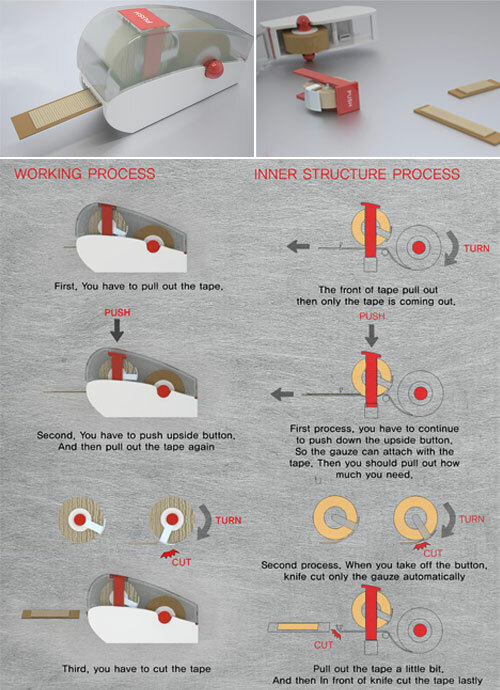 The Long and Short Plaster does away with the need of stocking up assorted sizes and works like a tape dispenser. Cut out the right size and use it.